December awareness days and months nclude a host of important causes and health awareness months. It is also the season to be jolly and show your love and compassion. 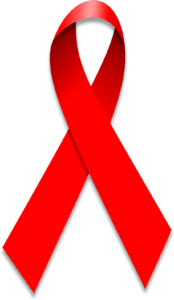 Kicking off the month is World Aids Day, on December 1st. Human Rights Day is December 10th. The month plays host to Aids Awareness Month; Worldwide Food Service Safety Month, Safe Toys and Gifts Month and National Humarn Rights Month, to name a few. You can find more observances for December at the national day calendar. Show your love; support your cause and be an agent of change! World AIDS Day is designed to help raise awareness for the virus that has killed more than 36 million around the world each year. The day reminds us that HIV has not gone away – every 9.5 minutes someone in the U.S. is infected. Roughly 2 million people succumb to the illness every year; a quarter of a million of these being children. It also serves as an important reminder to people of the importance of getting tested and to know your results. Human Rights Day is observed every year on December 10th. It marks the day in 1948 that the United Nations General Assembly adopted the Universal Declaration of Human Rights. In 1950, the Assembly passed resolution 423 (V), inviting all States and interested organizations to anually observe December 10 as Human Rights Day. 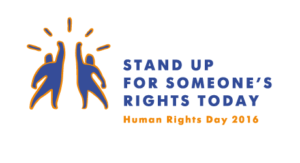 This year, Human Rights Day calls on everyone to stand up for someone’s rights! Many of us are fearful about the way the world is heading. Disrespect for basic human rights continues to be wide-spread across the globe. Extremist movements subject people to horrific violence. Messages of intolerance and hatred prey on our fears. Humane values are under attack..